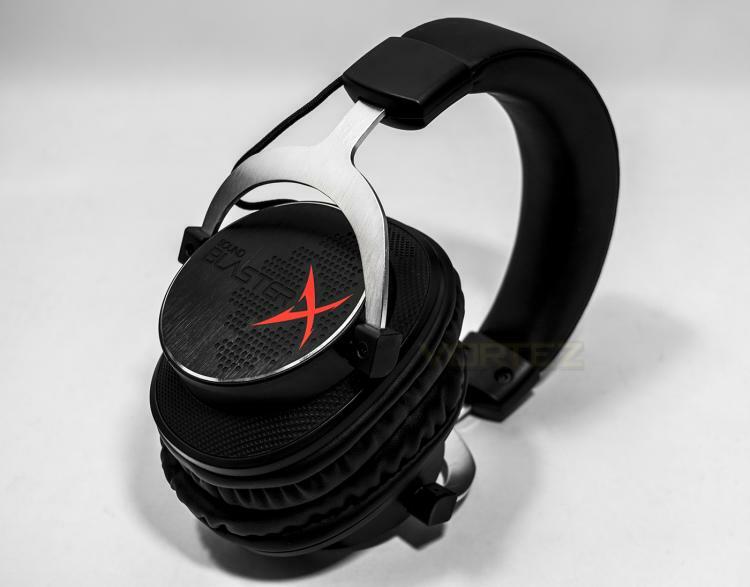 Creative are an ever present entity in the real of gaming audio and as such it is no surprise to see a new range of gaming products under the Sound BlasterX naming. Though learning from the current market curve, the SBX H5 takes a trick out of the book of design from the likes of which many will be familiar with. Whether you want to reference Beyerdynamic, Takstar, QPad and the HyperX Cloud, the resemblance in the design of the frame is similar. This is a good thing. While the QPad and the later HyperX Cloud, audibly, are incredibly good, they still aren't the perfect product in some respect. Adding their own twist to this steel and brushed aluminium recipe, Creative have imbued it with their full spectrum 50mm drivers and sonic know how. The earcups are large, leatherette covered memory foam, the headset is completely modular with an included braided 4 pole to 4 pole with in-line remote for maximum versatility in regards to the PC and games consoles. Then there is the design, which is sleek, mature with an understated elegance which shows more class. CLEARER, LOUDER, HARDER, BETTER! The Sound BlasterX H5 radiates with comfort in every element of the design. It’s made up of reinforced steel headband and aluminium architecture. Sound BlasterX H5 features an ergonomically-tested design that guarantees comfort over long stretches of gaming sessions, and withstand the rigours of gameplay.